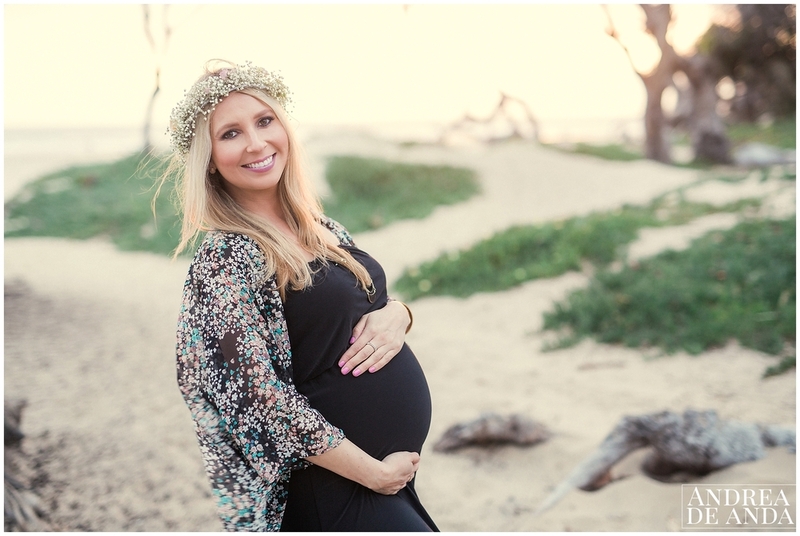 When Teresa called me to schedule her maternity session, I couldn't believe it !!! I was so happy and excited and of course very honored. 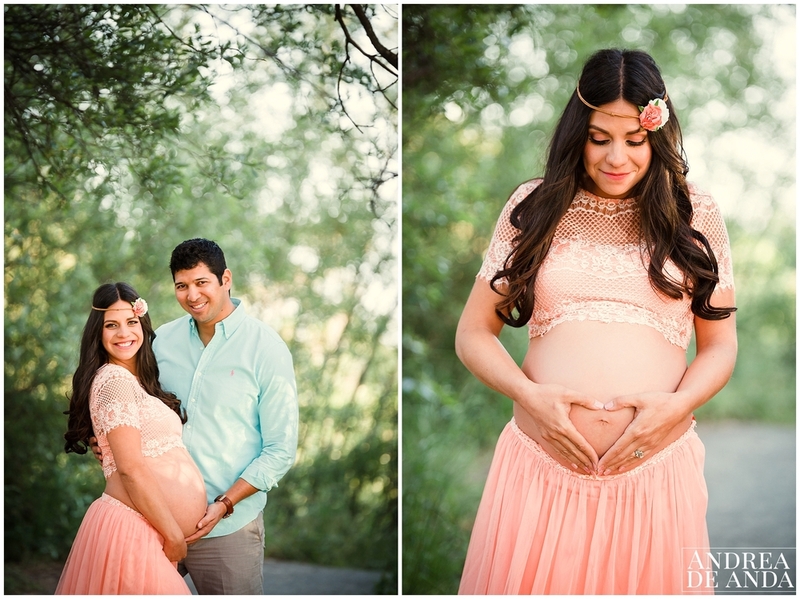 I shot their engagement session last year and you can see that here: Teresa & Pablo engagement session. Teresa looks amazing in that dress and has a perfect eight month belly and I wish her and Pablo all the luck in this new adventure to parenthood ! We started the session at the Pismo Beach Monarch Butterfly Grove and walked all the way to the beach to catch the sunset on the ocean. This maternity session is really special for me, I'm currently 31 weeks pregnant and photographing another girl pregnant gave me a lot of insight and perspective, while I was guiding her trough the poses I could see how uncomfortable or tired she was and I could totally understand her and say: " I know I know" but she was such a good trooper and in spite of being tired and enduring bad weather we had a beautiful maternity photoshoot in Pismo Beach. 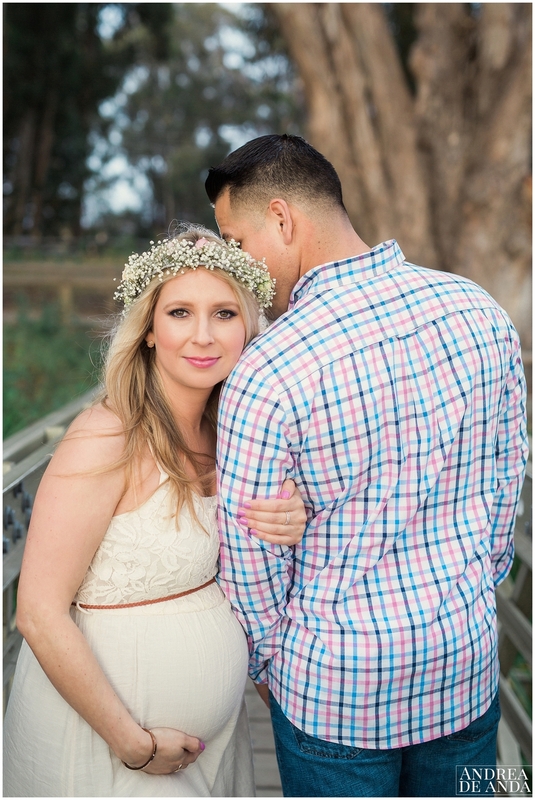 For the first section of the photo session Tessa wore a beautiful flowy cotton dress and a floral head piece made of baby breath, simply gorgeous for the second part of the session Ruben and Tessa decided to wear black outfits with accessories. It was just the perfect outfit to wear !! Tessa and Ruben's outfits where perfect, her flowy cotton dress and baby breath flower head piece made made her look beautiful.